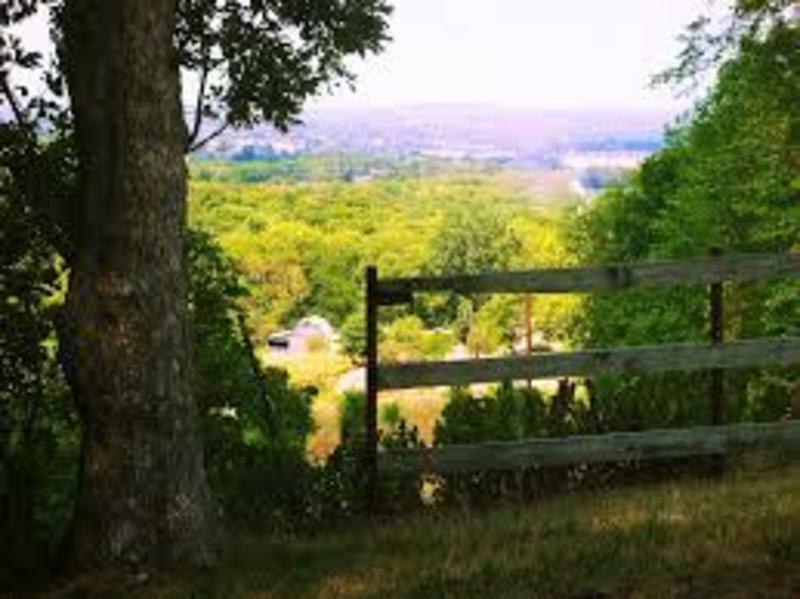 Perched atop Santa Fe Ridge, overlooking the Vinland Valley two miles north of Baldwin City, Signal Oak, played an important role in the Civil War from 1854 to 1861. Settlers climbed the branches and hung lanterns at night and flags by day to alert Blue Mound, which in turn alerted Lawrence. These signals warned settlers from other communities of approaching invaders during the ‘Bleeding Kansas’ days. 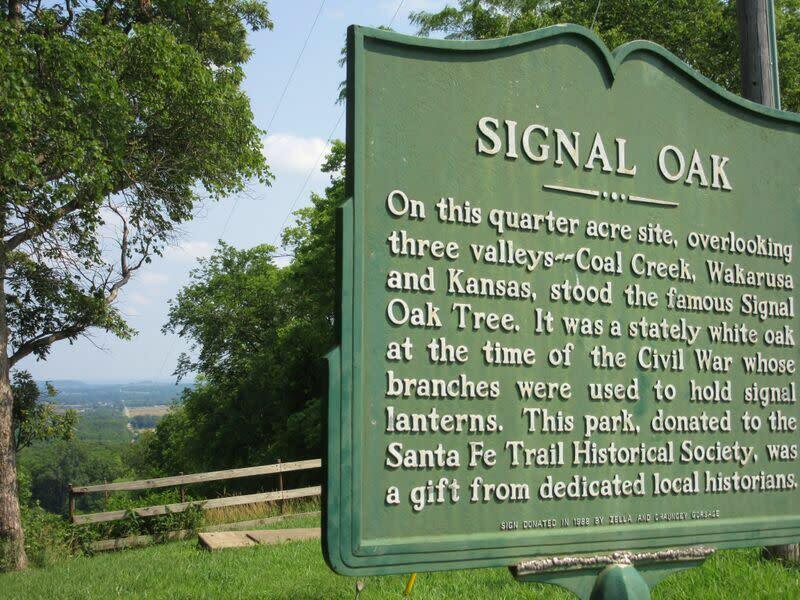 The oak tree died in 1914, but a marker and plaque remain to tell visitors about a piece of Kansas history.